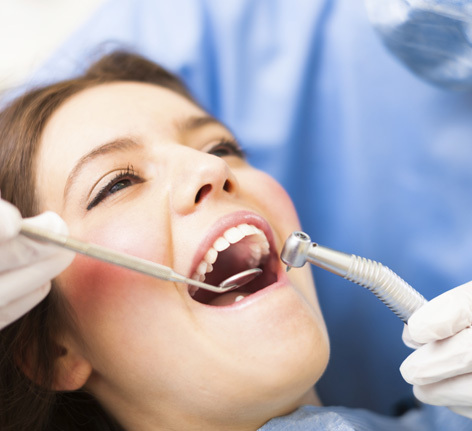 It takes two appointments to restore a tooth with a crown. In the first, any decay is removed from the tooth, and it is shaped to accept the crown. Then an impression is made of the tooth for use in fabricating a crown. Between the two visits the crown is made, usually of high-strength porcelain over gold alloy, all ceramic material, or gold. During this time a temporary crown is worn. In the second visit, this temporary is removed. Then, the permanent crown is adjusted as needed and then cemented in place. 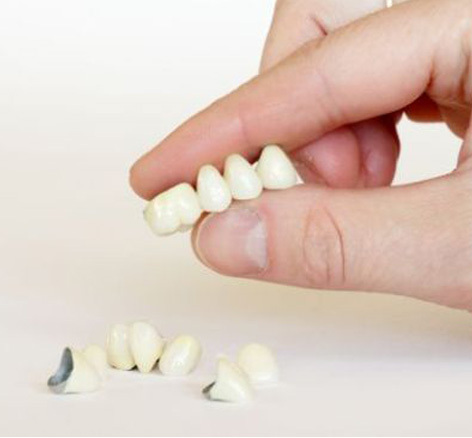 We also offer mini dental implants. 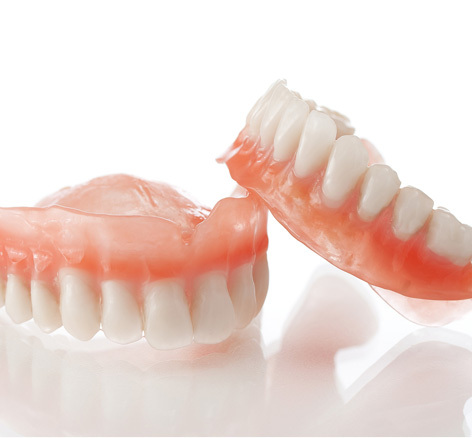 These implants are about half the diameter of traditional implants, and are used mainly to stabilize lower dentures. 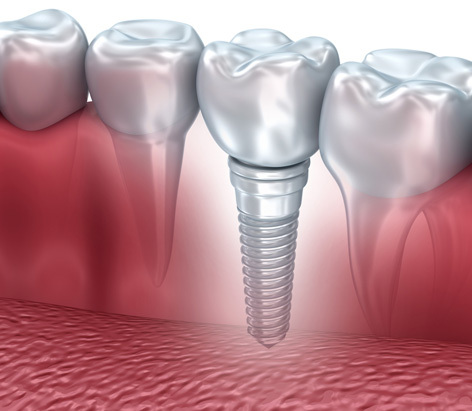 These implants can be placed in one appointment and be immediately used. The cost is 50-70% of standard dental implants. Call for a free consult. Root canal treatment (also referred to as root canal therapy or endodontic therapy) is made necessary when a cavity is allowed, through neglect, to reach all the way to the pulp. Regular cleanings and checkups prevent and detect such problems early. Sometimes deep restorations or trauma to a tooth may cause the nerve to be damaged to the point that it needs root canal therapy, also. Once this occurs, the pulp becomes infected and can even extend through the root tip and begin to eat away at the surrounding bone (this is an abscess). By the time the pulp is infected, it must be treated and cannot heal on its own. It can even weaken the entire immune system. This is dangerous, not to mention very painful. Symptoms that the pulp has become infected may include sensitivity to hot/cold or sweets, pain, swelling, pain to biting or pressure, and a bad taste in the mouth. Sometimes, however, no symptoms are apparent and the person is unaware of any problem until a checkup. 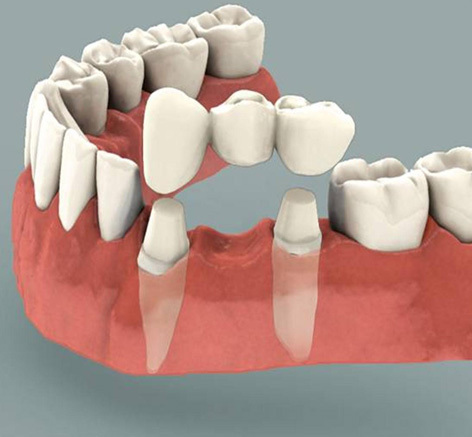 It is important that a missing tooth be replaced as soon as possible for several reasons. If not treated, the teeth surrounding the gap begin to shift inward, creating a whole chain reaction of bad things. Teeth use their neighbors for support, and, with one missing, they start to "fall". As this worsens, the bite changes in response to the pressure. This can eventually result in problems with the entire jaw, e.g. TMJ. The surrounding teeth deteriorate, and it is just a matter of time before they too, are lost. Gum disease becomes a serious problem, with the difficulty of treatment increasing as the neglect continues.